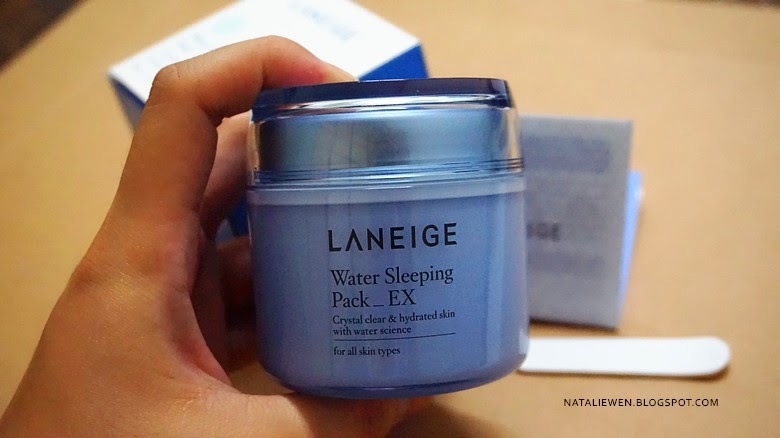 Ohaiyo everyone, I'm going to review my all time favorite sleeping mask with you guys! 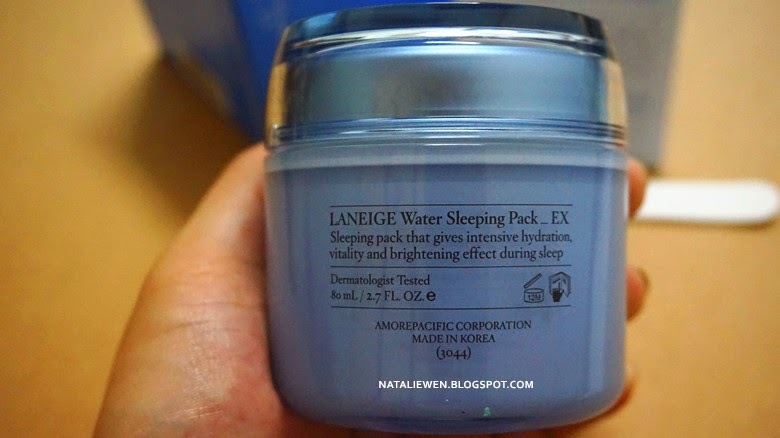 The Laneige Water Sleeping Pack is one of the Laneige best selling product and it won many awards such as Cosmo Asian Beauty Awards in 2011. Moreover, It known as one of the must purchase item while traveling to Korea! A small spatula and special care guideline is included in the box. 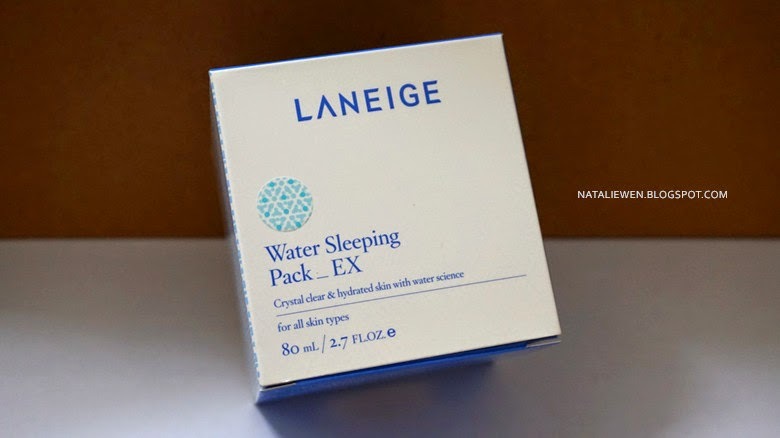 Sleeping pack that gives you intensive hydration vitality and brightening effect during sleep to restoring skin with deep relaxation. The sleeping mask help to fill water to our skin moisture it while we are asleep to leave our skin deeply hydrated and brightened. Besides, the sleeping mask do provide an relaxing scent which contains essential oil of orange flower, rose, ylang ylang, sandalwood and etc. This may helps to relax our mind and body for a comfortable sleep. 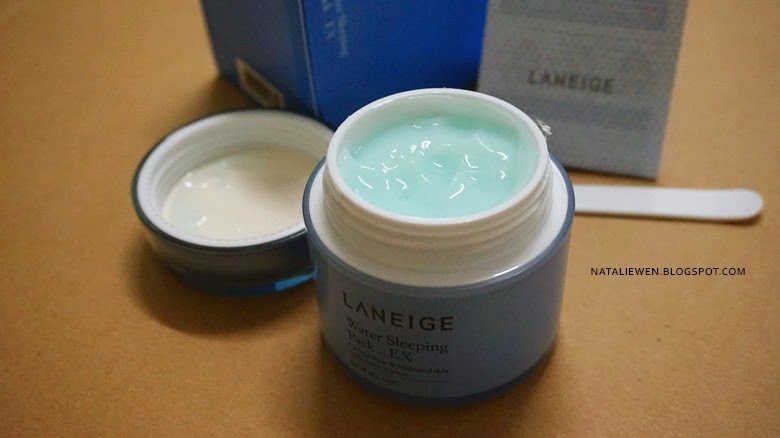 The sleeping mask stored in a simple blue jar, I love their simple packaging which can bring over here and there easily. I always bring along this sleeping mask no matter where I travel to. Help to provide skin regeneration effect that refresh our fatigue and dry skin by deeply hydrate it. 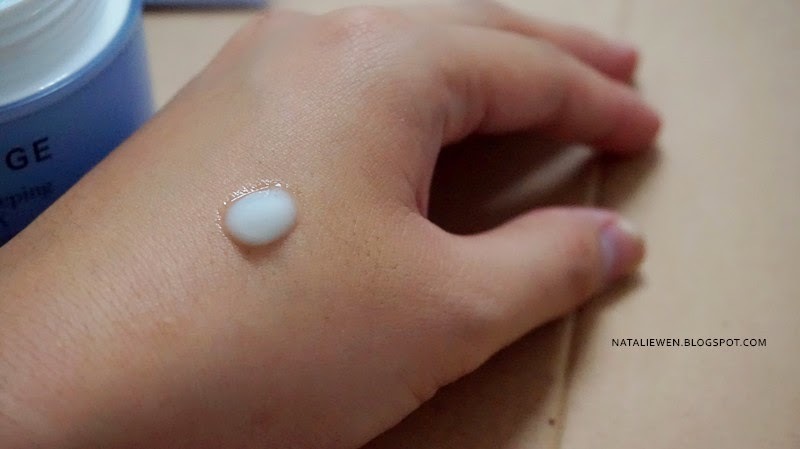 Moisture protection by strengthens the skin barrier. Brighten skin tone by removing harmful oxygen and purifying skin. Remove dead cells aways for vigorous water supply and sleek skin texture. The mask texture is gel and watery type, it can absorb by our skin easily and you won't feel sticky on your face. I really love this product very much. 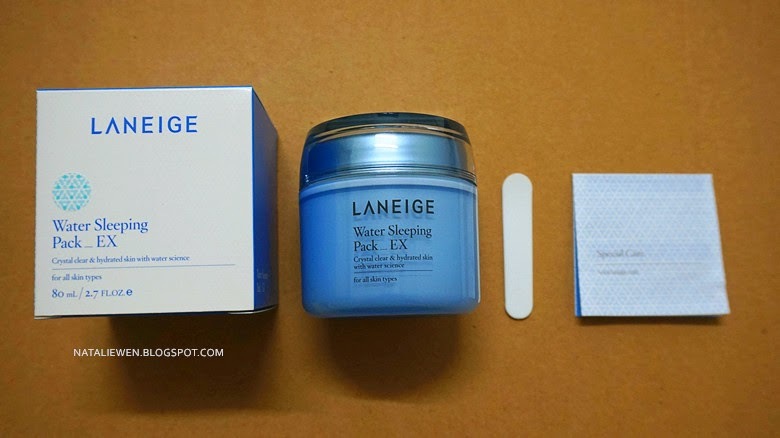 I willing spend more while choosing sleeping mask and moisture cream. This is because I always feel irritating if the skin care I apply do not really absorb into skin and it may cause my face feel so sticky and itchy. 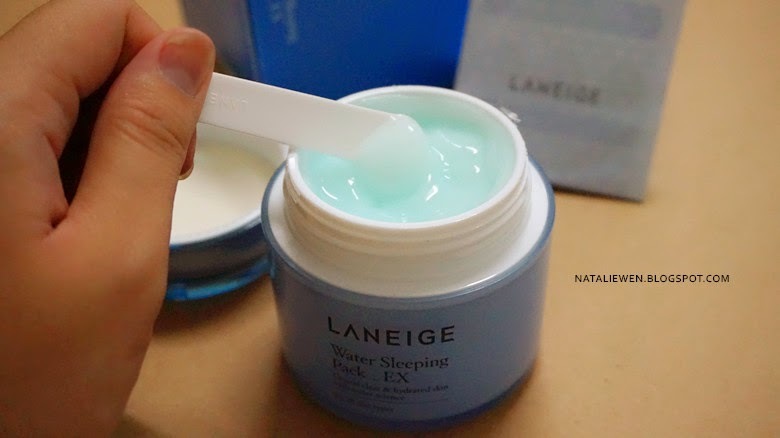 My face feel dry easily especially when travel by flight or when my face skin do not used to the weather of outsider country but Laneige Sleeping Water solve all this problems for me! I never feel my face dry and tight anymore. How to use it ? ? 1. Apply your toner or emulsion after face wash.
2. Take amount 5 cents size, mark on your nose tipe, cheeks, forehead and chin area. 3. Feel the relaxing scent for 3 seconds. 4. Spread over your face from inner to outer. 5. Go to sleep after absorption without rising off it. 6. Wash your face in the next morning. When your skin is particularly dry, you are advice to appy a thick layer and wash it off after 10 minutes. When you are in a tension mood, you can open the cap and breathe in the scent of the mask for about 5 second before apply to relax your stress. Apply to neck area in a thin layer for effective neck care. Where can you get it ? ? 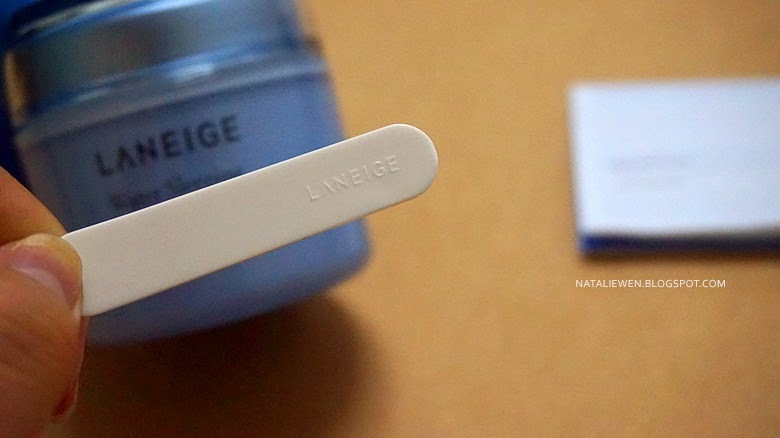 You can visit to laneige store at Gurney Plaza Parkson or Aeon Queenbay Mall. For online shopping can proceed to Hermo or Luxola. Try it yourself then you will believe the difference between.